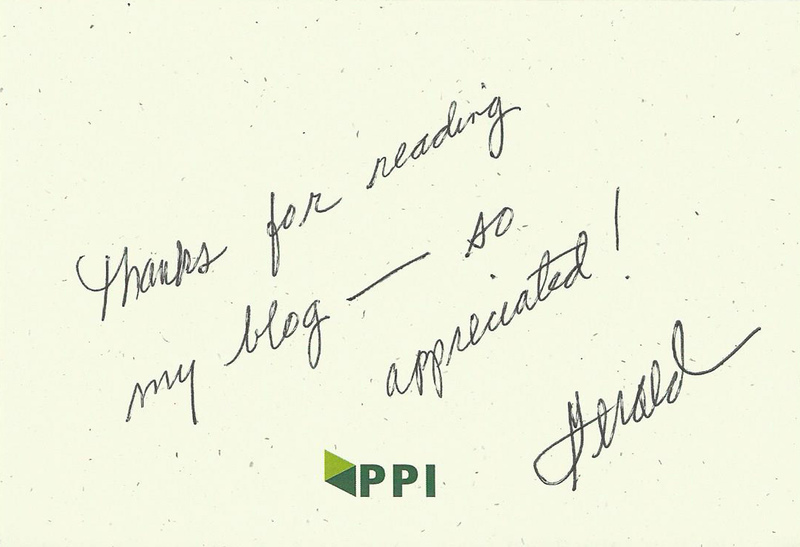 At PPI, we aspire to trusting, respectful relationships with employees, customers and suppliers, and we hope to inspire passion in those relationships. 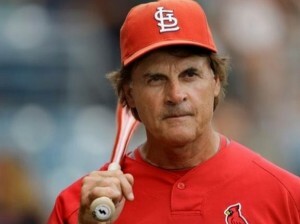 What better role model than Tony La Russa! Shameless SEO plug for our business: Ask about specialty labels: integrated forms / labels, cold storage labels, food labels, packaging labels, carton labels, aggressive adhesives, temporary labels, cover up labels, diecut labels, labels for machine application, bag labels. My wife and I were traveling in Switzerland last year and we were frequently confronted with the ugliest, most visually disturbing logo I can remember; the logo for SwissCom, the Swiss telecommunications giant. The graphics committee (it had to be a committee) responsible for this should be lined up and shot. Now I’m not suggesting this is an easy process. In fact, it can be a hard intellectual and visual mountain to climb. It is a wearying and expensive process so we are easily seduced by inferior ideas. In my experience, the best insurance is a faithful pit bull designer that won’t let go, chewing and chewing until a brilliant idea takes shape. As a practical matter, most of us are not SwissCom with thousands of dollars at our disposal for logo design. On a budget, I suggest engaging an experienced graphics designer (we have several to choose from). Meet with the designer armed with concise answers to the above questions: “what business”, “image”, and “differentiation”, and examples of logos you like. Hint: Google logos or logo design. If you have entries for our ugly logo contest, please email an image and where you encountered the monstrosity. I have been vindicated! I get testy with vendors that send invoices via email. They go to spam, they go to the wrong person, they fall outside the normal flow of our invoice payment processing, and frequently we have to answer phone calls regarding non payment of these invoices. In other words, they become exceptions and in our business we work hard to minimize exceptions. A recent post at twosides.us, twosides.us/US/Can-Paper-Bills-Be-More-Cost-Effective-than-E-bills, documents an excellent study by Danish company Natur-Energi that concludes “it cost the company $3.25 per customer to get paid by paper invoice and $5.75 per customer billed by e-mail.” This, despite the fact postage in Denmark is almost twice United States postage. Read the post for the complete backstory, and keep those postal invoices coming. Comments Off on Electronic Invoicing, Fool’s Gold? I started my first business (financial consulting) in 1981 with meager savings, a wife and 2 small kids at home, and a relentless mortgage payment. I was scared. Even so, I spent a large chunk of my startup capital on professionally designed and printed stationery. Working out of a home office, it was important that I project an image of credibility and trustworthiness. And it worked! Prospects took me seriously and I managed to build a successful business. Businesses, particularly service businesses, are as much about psychology as they are about products and prices. The reason I say this is because research has repeatedly shown that buyers make decisions based on how they feel, and then attempt to back up their decision with facts. Buyers want to feel good about doing business with your company. 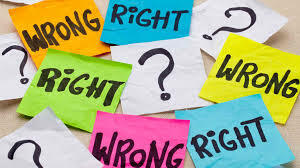 They expect good products and services but they also expect professionalism, integrity, cleanliness, a successful image, good communication and good organization. Take a look at your image with fresh eyes, everything from logo and stationery to forms to your office carpet. Is it screamin’ small and cheap? Is it tired, stodgy, or dated? Or does it project energy, cutting edge, stability, efficiency? Is it saying: I’m ready to do business? As a young accountant fresh out of college, with parents barely removed from the farm, I was something of a rube, a hayseed if you will. Nevertheless, I was brash and competitive and trying to make an impact on the business world. I didn’t know the ups and downs I would take along the way, but hey, that’s part of life. Someone recommended the book Dress for Success by John Malloy. I got it, read it, and a light came on. If I expected others to see me as successful, I had to not only be the part, but look the part. After reading that book, I finally had the knowledge to dress appropriately. Every contact with a client or prospective customer is an opportunity to make a statement about your business. For example, I went in a doctor’s office the other day and of course they gave me a multi-page form to complete. The form had been copied so many times that it was barely legible and was skewed 1/2” on the page. It made the clinic look CHEAP and made me feel that my information was not important. Every form, phone call, invoice, delivery, email, website visit or other contact reinforces your company’s image, for better or for worse. How is your business being perceived? 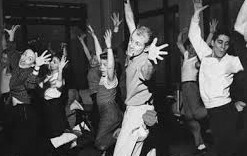 Small and cheap, large and impersonal, unprofessional or professional, disorganized or organized, technologically sophisticated, on a fast track, growing or stagnant, old fashioned, warm and friendly, sense of humor, expensive. Well, you get the idea. Particularly important is that first contact where the recipient will, very quickly and very subjectively, slide you into a category. If you are involved in developing new business for your company you know how difficult it is to overcome any first-contact negatives. First impressions do make lasting impressions- remember that. The starting point for written communication is your logo and stationery layout. Amateurish design is painfully obvious so please consult a professional graphic designer. They should show you a number of ways to graphically tell the story of your business in a visually interesting way. A logo might be out-of-date due to old-fashioned design or possibly due to a change in objectives of the business. Take a fresh look (or have a graphics professional take a look) at every form, brochure, e-mail, or any electronic or paper communication used in your business. Make sure they are accurate, professionally designed, and a positive reflection on your business. Grammatical and spelling errors are pet peeves with me, and I suspect many others. We often call to double check spelling of the recipient’s name before we mail (or e-mail) correspondence. Spell checkers are painless and anyone that doesn’t use them should be bludgeoned. Thanks for taking the time to read my blog. Until next time, Gerald. Growing a business is a lot like raising kids. Every stage of development is exciting, and another test of management, or parenting, skills. So I’m excited about the investment we’re making to increase direct sales efforts. Our plan is to hire a sales manager and two additional salespeople over the next 12 – 18 months. In the interim, Dave Fellman, a nationally recognized sales management and sales training expert, is working with our sales staff. Like most growing companies, we have to be smart about how we invest our limited resources. We’re very cautious about adding management but in order to continue growing it’s time we moved beyond my limited sales management skills. For our customers, we expect salespeople to be accessible, to be knowledgeable, and to be up-to-date on technology. It’s human nature; we all want to feel appreciated, we all want to feel that we are important to those we care about and respect. The warmest and most unique way I know to express your appreciation, sympathy, admiration, encouragement and thanks, is with a handwritten note. Making time in your busy life to pen a few lines to a friend in a handwritten note, sealed inside a hand-addressed envelope, has the power to impress, or to caress, in a way no other form of communication can. And don’t think these touches are lost on the young people in your life. Despite email, texting and social networking, mail that is written and addressed specifically to them is appreciated. We have printed thousands of custom cards and envelopes for businesses, churches, non-profits and individuals, but (I can’t believe I’m writing this) handwritten notes don’t have to be on nice stationery. In fact, it can be fun to pen a note (perhaps including some witty comment) on a napkin, a popsicle stick, book of matches, or anything out of your junk or memory drawer that you can write on. If you do choose to have note cards and envelopes printed, make sure your name and address (and logo if applicable) go on the flap, not the face of the envelope. If intended for business, please make logos and other branding subtle. Stick with standard sizes such as A7 and rich papers for a very personal feel. Don’t worry about your handwriting, just slow down when writing. Keep it short and conversational. Make it a habit. You will be well rewarded. Our companies are large enough (22 employees and growing) that we are constantly hiring, evaluating, motivating, and yes, occasionally even firing. It is time consuming and hard work but absolutely critical to our future success, so I do it myself. 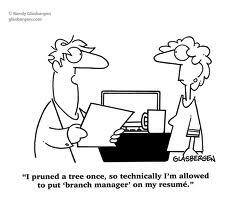 Despite a rigorous hiring process, I sometimes (more often than I like) hire the wrong person, and that is discouraging. But the favorite part of my job is when it works. When we hire a “star” who thrives on the challenge, appreciates our coworkers, and comes to work with a smile on their face and a song in their heart. It is such a joy to watch them blossom, gaining confidence and the respect of coworkers. I can’t take the credit because many of our “stars” were here long before I arrived, but it is so rewarding, a lot of fun, and such an honor to be part of our great employee group. 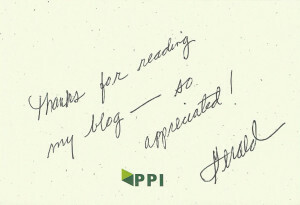 I hope you are already a member of our PPI family but, if not, I hope you have the opportunity to get to know us. You’ll be warmly welcomed. We are dedicated to being experts in the graphics industry. Many of our customers expect us to be knowledgeable about everything from pencils to books, brochures to banners, and design to distribution. Some of our products: note pads, catalogs, mugs, post cards, calendars, brochures, lanyards, table tents, business cards, displays, pens, pocket folders, highliters, banner stands, invitations, note cards, hardbound or softbound books, invoices, binders, retail price tags, envelopes, manuals, lapel buttons, door hangers, menus, labels, car magnets, stickers, newsletters, cups, prescription pads, pallet sheets, sell sheets, banners, dividers, bookmarks, flyers, shelf tags, greeting cards, signs, vehicle wraps, dvd covers, letterhead, booklets, badge reels, forms, t-shirts, stationery, statements, tear off cards, product tags, posters, and much more! Some of our services: layout and design, database maintenance, mailing, fulfillment, distribution, kit building, photography, email marketing, branded web to print storefronts, print management, and much more!